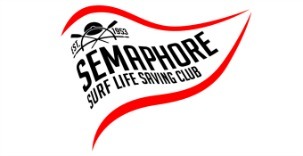 To get into the Christmas spirit, Semaphore SLSC is pleased to announce club junior parent and well known musician Jason Sym Choon will play some tunes on the balcony for us from 3pm. To accompany this our President, with the help of a couple of our gin connisuers, will also be making a variety of gin concoctions throughout the afternoon. Red and white bubbles will be $5 a glass all day. Come along and bring your friends for a day of sunshine and sunsets, music, gin and bubbles.